When we first wrote our Sony A9 Review a few months back, there was a whole lot of tension in the video production and gear community. Or maybe it was more of an excited anticipation. Whatever you call it, this force had the power to overshadow the Sony A9 completely, despite the A9 being only a few months old, and despite the A9 being hailed as the greatest camera Sony has ever made. This force was the Sony A7R III. And it was about to destroy everything in its path. We like to write about gear a few months after the dust has settled. Primarily, it gives us time to use new gear in a variety of real world production environments. But it's also a good way to avoid the emotional lure of the shiny new thing. So we can form reasonable opinions about new products, rather than jump on a FOMO train. So now that the A7R III has been out for a little while, where does it stand? Has it indeed become the camera to get in 2018? Our friends at B&H Photo loaned us an A7R III so we could try it out for ourselves. 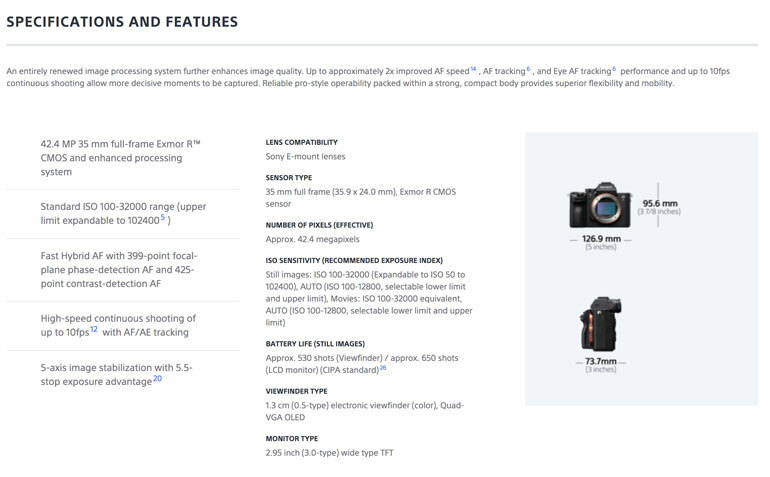 First, let's go over some of the A7R III specs. Sony is known for throwing in a ton of technology into their mirrorless A7 line of cameras, so the spec sheet is where they really shine. The A7R III uses the same 42.4 MP sensor as the previous version, so overall ISO sensitivity and resolution doesn't change. You still have the option to shoot both full frame as well as in Super-35 mode, which gives you different options for crop and final resolution output (more on that below). 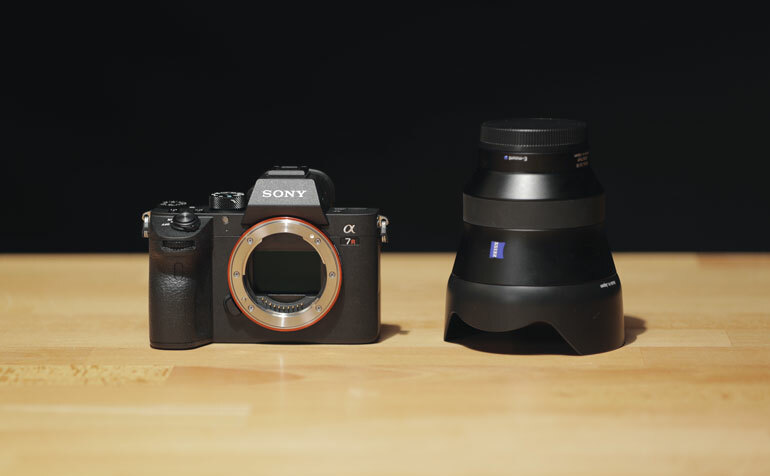 The body is slightly bigger than the A7R I﻿I body, and it's now more similar in size to the A9 b﻿﻿ody. In the grand scheme of things, these are all quite compact, well-built cameras. The big addition is a bigger and better battery, which was always a crippling issue in the previous A7R. This new battery has approximately 2.2x the capacity of the former battery, so you can comfortably shoot for up to 3 hours. 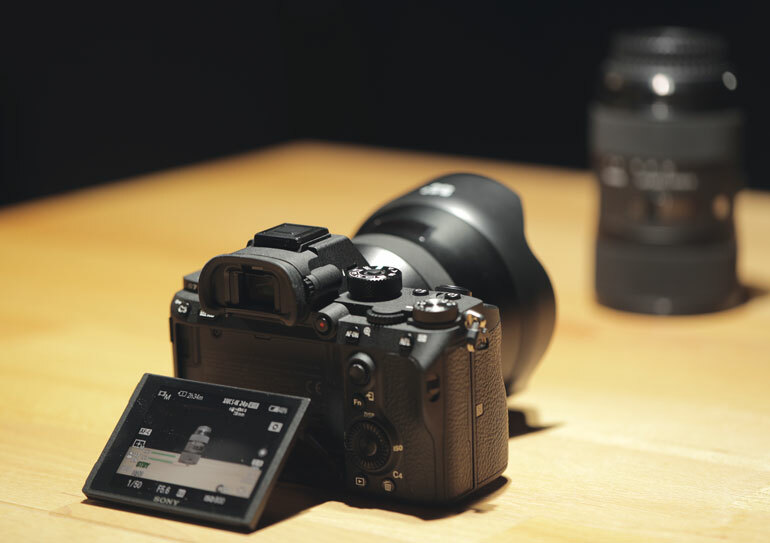 The A7R III also features the much improved EVF from the A9, along with a touch screen LCD, and dual SD slots. The secondary SD slot can now record both in dual slot record for backup, as well as relay recording for long captures. 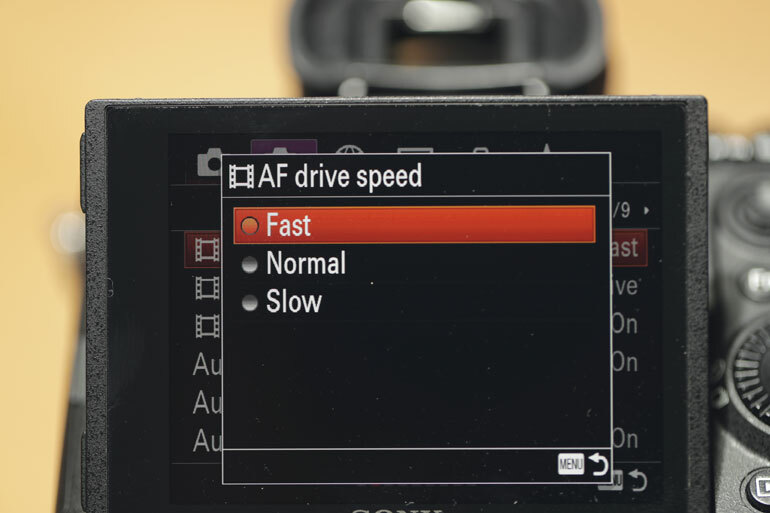 In addition to dual slot recording, the A7R III has a proxy option that can record to either slot. 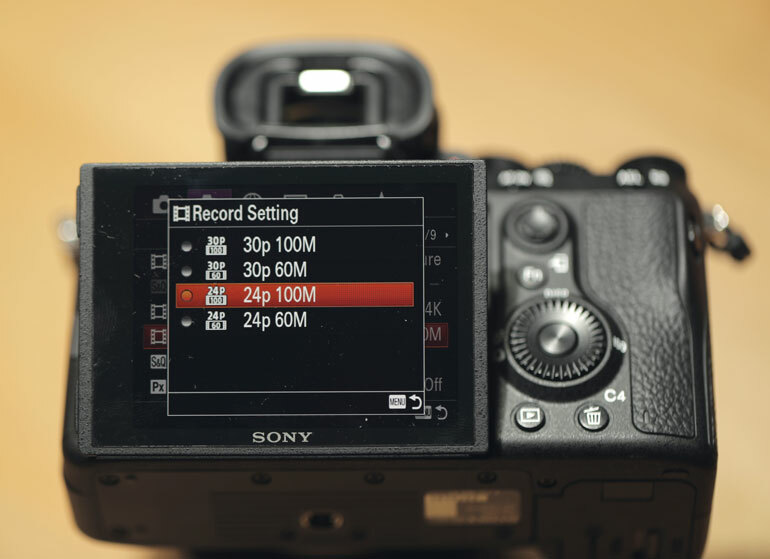 One of the major barriers to using small DSLR or mirrorless cameras in a professional environment is a lack of a dependable backup recording, in case of a card failure. So here, the A7R III really shines. Slot 1 and Slot 2 accept different cards, so you have to be mindful of what speed of card you're getting, and what slot the cards go into. It's the same, slightly frustrating issue we ran into with the A9. Once you have the proper cards, you'll be fine, but the initial search for the right cards can be a wild journey. 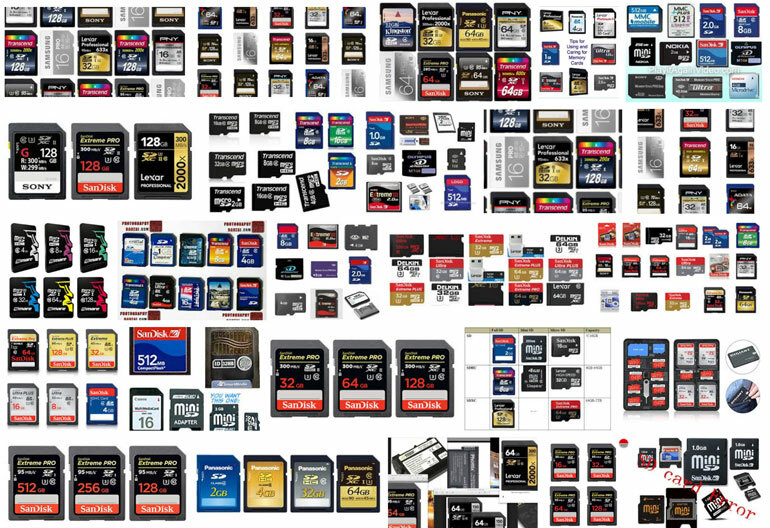 Don't wait until the last minute​ to try/buy cards for this camera before a shoot. Because it's a photographer's camera first, video second, the A7R III has a load of features that are very attractive for stills shooters. For example, the buffer memory and speed allow a whopping 76 images in continuous shooting, at 10 fps, with both AF/AE tracking. Nature/wildlife photographers will appreciate these specs. But since we're most interested in the video capabilities of the A7R III, how does the A7R III fare for primarily video shooters? The debate between the A7R and A7S has often come to the question of: do you care about stills some, a lot, or not at all? Often the reason to pick up the A7R over the A7S is because you care about stills a lot. 42 Megapixels of full-frame imagery is the sort of feature that is overkill for casual photographers, especially if that packing that much megapixel processing into such a small body ends up cutting into more practical video features. So for the most part, the A7R III continues that trend of photography first, video second. And there continues to be some important video specs that are still lacking in this current model. First and foremost, the A7R III can still only record a maximum of 4k UHD at 30 fps, using 100 MB/s bitrate, in a 4:2:0 8-bit XAVC codec. 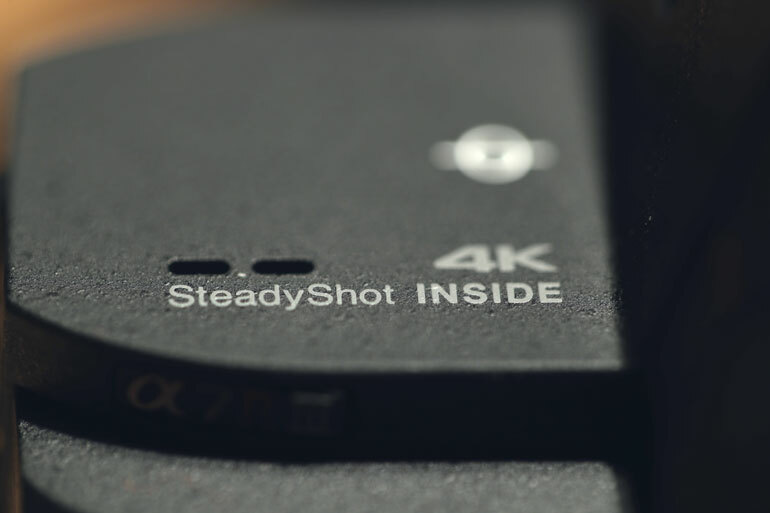 So if you're shopping for cameras because you want the ability to shoot a 4K at 60fps or you want 4:2:2 10-bit - or *gasp* both 4k/60 and 4:2:2 10-bit - this camera is not for you. It's frustrating for us to have to buy and use the Canon 1DX Mark II in 2018, simply because we need 4k/60 for commercial applications. We don't want to use a DSLR for video anymore, and yet, Canon is slow, so use a DSLR we must. But Sony typically doesn't shy from offering all the best specs they have in every subsequent new mirrorless camera announcement. Of course, specs aren't everything, and even with a limited data bucket, the A7R III can capture some amazing video​. Here's Sony's official release video, featuring footage from Alaska. After having lived and shot in Alaska for almost a decade, we can appreciate both the challenges and rewards of shooting the Alaskan landscape. Admittedly, if you want to go into pixel peeping detail about this camera's sensor readouts, there are a myriad of forum posts out there offering a lot of information that you may find useful. For us, we mostly look at the big picture, and the user experience. So yes, the A7R III has a Full Frame mode and a Super 35 Mode for shooting video. In full frame at 24fps, you can get a full field-of-view readout of your lenses, with no pixel binning. At 30fps, you get 1.2x crop. And in Super 35mm Mode, you get 1.5x crop. Which can be a blessing or a curse, depending on what you're trying to achieve. And to complicate the discussion, a lot of Sony shooters are using Metabones Speed Boosters with Canon lenses, which further changes the FOV and crop ratios, as well as the quality of pixel bining. Most video shooters appreciate options, except when they start to weigh down your shooting flow. However, we appreciate the ability to stretch lenses in both directions - to make them wider as well as longer. So we'll give this feature a plus for the A7R line. ​With a Metabones adapter and a few standard Canon zoom lenses, you'll now have the ability to shoot in a wide array of resolutions and field-of-view crops. In addition, you add the ability to digital zoom, or as Sony calls it, Clear Image Zoom, which make your lenses even more versatile. Again, there is the danger of too many shooting options becoming more of a crippling ​frustration during production. But we appreciate the options nonetheless. 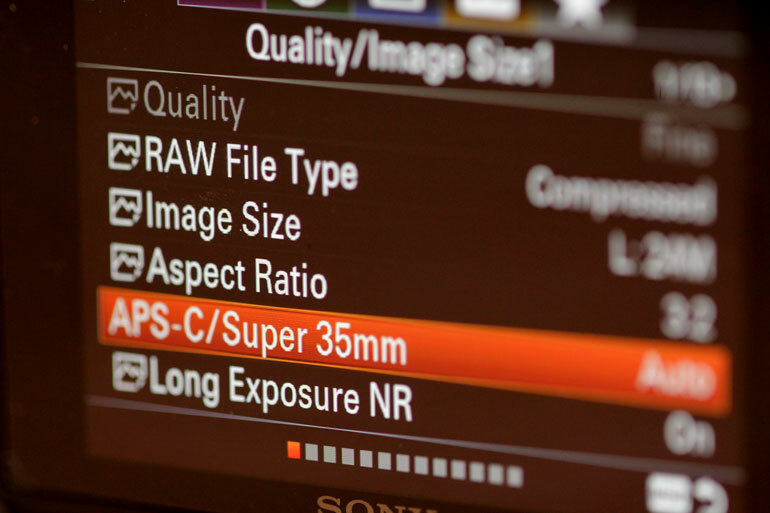 Log shooters will rejoice now that they can choose Slog3 on the A7R3. Slog3 has an even flatter curve than Slog2, which means more control in the edit room, plus potentially a better matching experience with other cameras. Does Slog3 provide more dynamic range? Perhaps, but the practical limitation of 4:2:0 8-bit and 100 Mbps bitrate means that there is still only so much room in the data bucket, and something has to be compromised in order for you to capture more highlights, for example. What usually happens with Slog2/3 on an 8-bit camera is that you get a lot of noise in the shadows, in order to capture a little more information in the highlights. Which means you have to crush the shadows to black when you color correct, or you have to apply noise reduction. This is disappointing for us because we really enjoy working with shadow details. Many cameras are fantastic in broad daylight, but in mixed lighting or in darker conditions, the shadows to us are a more important area to get right, than having the ability to capture a few more clouds in a blown sky. On a Sony 8-bit camera, you are in deep trouble if you underexpose your image at all. The noise and clipping that occurs in the shadows is unreal. Here is an unedited screen grab from the A7R III, shot in 4k at 100mbps bitrate.​ You can click on the image to see it at full resolution. Here's another 4k screen grab - this is not a zoomed in crop. It's a full resolution screen grab of an underexposed frame, which is slightly out of focus so you can better see the noise. 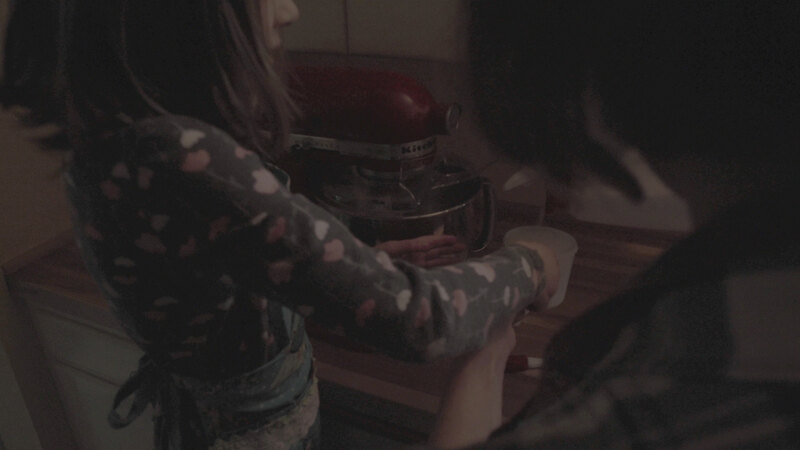 We then color corrected it slightly, by bringing up highlights and bringing down shadows. You can see just how much damage is done if you underexpose an Slog2/Slog3 image on the A7R III. There's no bringing it back. Again, you can click on the image to see it at full resolution. Actually, we encourage you to do so, and then make sure it's zoomed to full view in your browser. You can reduce the noise with Neat Video, but if you’ve ever edited a project with Neat Video applied to even just a couple clips, you’ll know that it can bring your computer to its knees. Essentially, you want to steer far away from cameras or editing workflows that require noise reduction plugins. In an emergency, yes, it’s quite useful to apply Neat Video, but it’s not something you should ever walk into a project expecting to use. So for our buck, neither Slog2 nor Slog3 are recommended in this camera. But if you must, Slog2 is still preferable because it is less flat and doesn't create as much shadow noise as Slog3 does. Apart from the battery life and the elimination of overheating problems, the A7R III's most notable improvement on paper is its autofocus. It's no secret that the Canon 1DX mkII has the best autofocus of any DSLR or mirrorless camera out there today. It’s admittedly not as good as the Cinema C200 and C300 mkII, but it's a smaller camera with a smaller processor. Apart from the 4k/60 capability, the autofocus is the primary reason we shoot with the 1DX Mark II as our B-cam and gimbal cam. However, the autofocus on the A7R III has been rumored to be so good that we've been tempted to finally make the switch to Sony, if only as a gimbal cam. More on that in a bit. But how good is the AF really? In our use of the camera, the autofocus on the A7R III did seem like a substantial improvement from earlier Sony offerings, as claimed. That said, if you’re used to the dual pixel autofocus on cameras like the 1DX, C100, 200 or 300 it’s just not as good. Not terrible, but not as good. The Canons can follow a subject, even at a very shallow depth of field, as well as completely shift focus between relatively low contrast focal points, and do it insanely fast. The A7R3 is capable, but it just doesn’t have the same incredible accuracy and crispness of the Canons. If you’re not already a Canon shooter, this may not be such a big deal for you. For us, it’s hard to go back to the old days of hunting. The other rub with Sony's autofocus has always been that third party lenses don't work, and so you must invest in Sony lenses. This is a bummer for most people who use Canon or Nikon lenses with Metabones Speed Boosters, which in 2018 is many of us. Over the past few years, Sony has really upped their lens game - but they’re still not as cheap and ubiquitous as good old Canon glass. But in this video, you can see just how well the Sony A7R III autofocus works with a Canon lens. The Brotographer specifically tests out the face and eye tracking feature on the A7R III, using a Canon lens. This excites us the most, because most often when we rely on autofocus - for use on a gimbal or simply on very quick productions - we are focusing on people subjects, not object subjects. 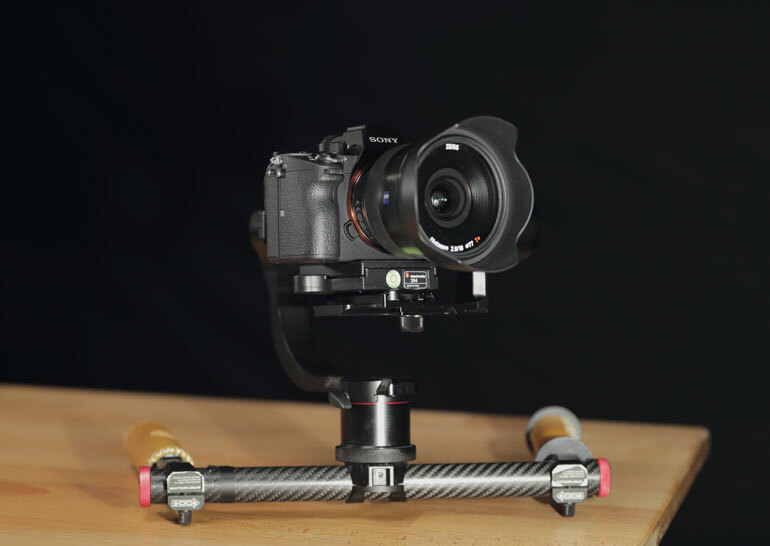 If you've read our DSLR Gimbal article, you'll know that even in 2018, there is a severe distinction between using a gimbal with a camera under 4lbs, and then escalating quickly into heavy duty and complex gimbal systems for any camera/lens combo that is over 4lbs. 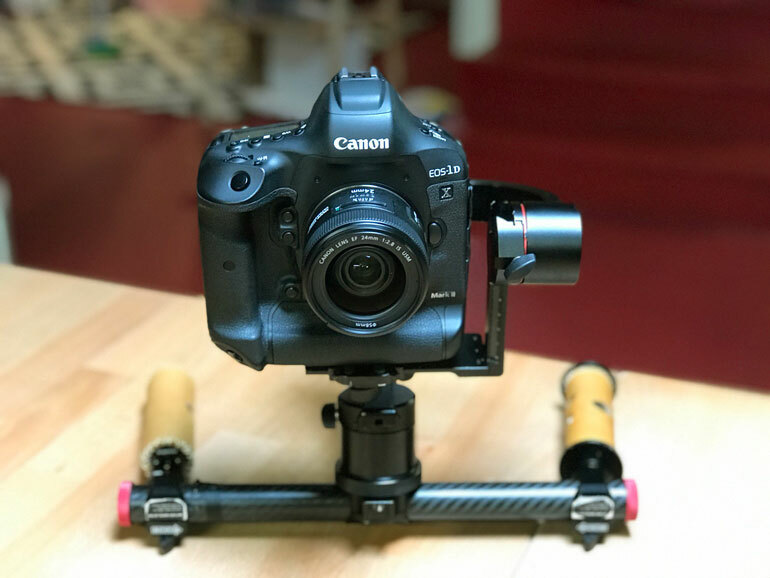 Even the Canon 1DX Mark II, which is seemingly perfect as a gimbal cam, with excellent AF and simple form factor, is on the edge of being too big and bulky for simple gimbal systems. We have managed to fit our 1DX on a Pilotfly H2, but only by removing all the safety screws and pushing the balance points to the far ends of the available space. It still barely fits and doesn't have free movement all the way around. 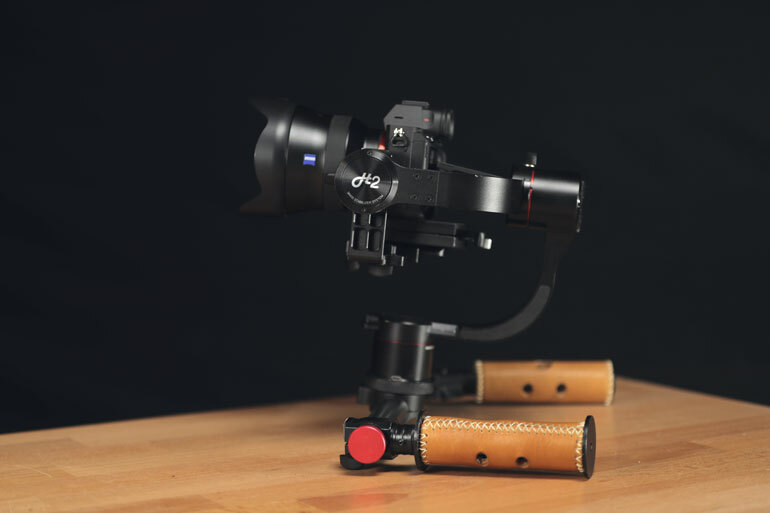 Today, most gimbal manufacturers are leaning toward more one-handed gimbals intended for small cameras, rather than creating a simple two handed solution for average-sized DSLRs, Cinema cameras, or Mirrorless cameras with standard lenses. And so, the Sony A7R III is looking like an important camera for any shooter today who is intending to use their camera on a gimbal. It has the right combination of size and autofocus capability. For our buck, if you are only planning to rig this camera onto a small gimbal and use it as a dedicated gimbal cam, it doesn't make sense to invest in a camera like the A7RIII, which has incredible photography features that you're paying for, but likely not using on a gimbal, such as the extreme resolution or the excellent EVF. 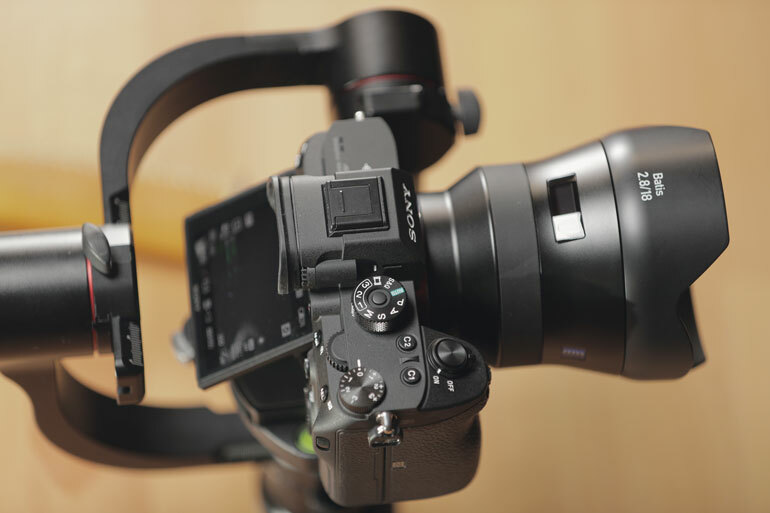 If you're only out for a gimbal cam, the Sony A7 III is probably the better choice today. How much better is it than the A6500 on a gimbal is a more difficult consideration, since they are much less related than the A7 III and the A7R III. For our tests run, we paired the A7RIII with the Zeiss Batis 18mm lens. We chose this lens because it’s a relatively light weight, high quality lens which seemed suitable for a small gimbal set up. We also looked at the Sony FE 12-24mm f/4 G Le﻿ns, both of which were available for rent from our local camera shop, Focal Point Photography. While the 12-24 is an attractive solution, it is also quite heavy at 1.24 lbs, compared to the 18mm at 11.64 oz. Basically, the 18mm is roughly half the weight, which made for an more easily balanced camera with more space for the screen to flip out on the gimbal sled. Would our autofocus experience have been better if we went with a Sony manufactured lens? Perhaps. But, in our experience with Canon cameras and dual-pixel autofocus, who produced the native mount lens rarely has much bearing on focus performance and reliability. The 3” rear touch screen is mounted in the usual Sony style, and screen articulation leaves a little to be desired on many of the smaller gimbals - like our Pilotfly H2 - where the roll axis motor is located directly behind the camera. It’s not unworkable, but the older style flip out found on many Canon DSLRs definitely gives you more options for usable angles of view. One could also make the argument for using an external monitor, like our SmallHD FOCUS. 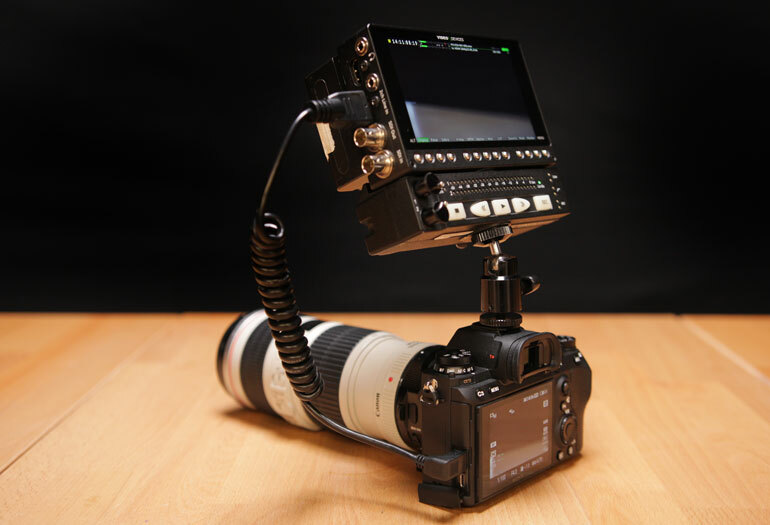 But any gains there come with serious trade-offs, such as increased rig size, need for a secondary battery, and a relatively fragile connection via the A7R’s micro HDMI input. For us, the point of using a smaller cam like this is to keep weight down in a smaller overall package - making this kind of rig-size-creep a nonstarter. 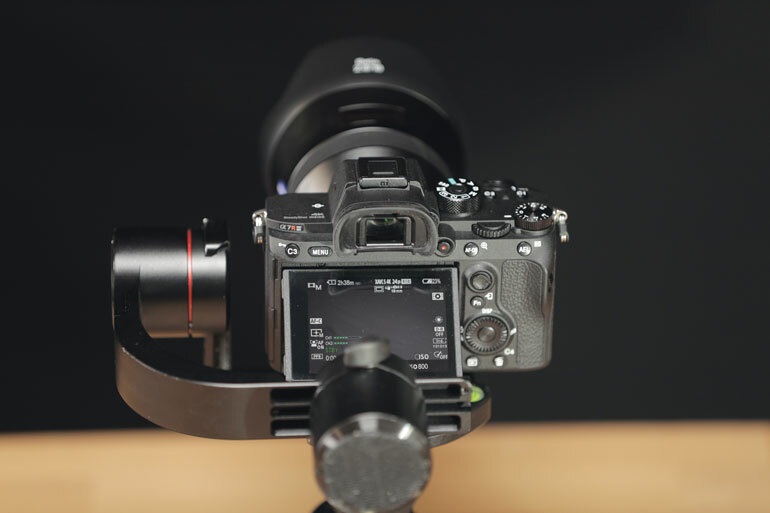 Touch screens are becoming a standard on prosumer and professional cameras like the A7R, but when using a gimbal we prefer to be able to easily access necessary controls (ISO, Aperture, Autofocus toggle) on a physical button or dial. It’s really an issue of speed and accuracy to keep up with the usual pace of our style of shooting. 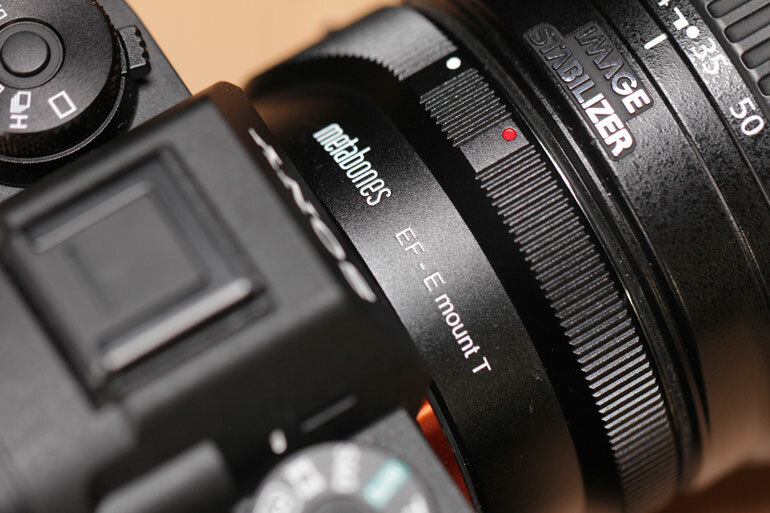 Overall, dial and button access on the A7R seems improved over its predecessors. One great feature the A7RIII has, perhaps much more useful than the touchscreen, is the ability to assign buttons. Because we were using a 18mm Zeiss Batis prime lens for this test we were a little more limited than we typically are with our gimbal-friendly Canon 10-18mm lens. Being a full frame camera, the 18mm gave a nice wide angle of view - but we found ourselves wanting for more options. By setting up the assignable buttons offered on the A7R we were able to switch quickly between full frame and APS-C size Super 35 Mode crop, which gave us both 18mm and 27mm fields of view. This was probably one of the coolest things about the setup on a gimbal. 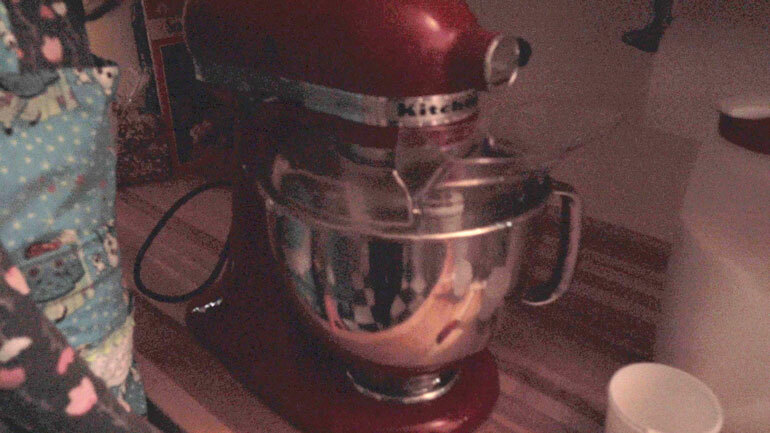 If there were image quality issues with using the Super 35 mode, we didn’t notice in this limited test. Had this feature been buried in the menus, as it had been on previous camera iterations, we likely wouldn’t have used it at all. And finally, many gimbal shooters disagree on the use of image stabilizers during active gimbal use. In our experience with Canon cameras, in-lens optical image stabilization is actually a great tool. 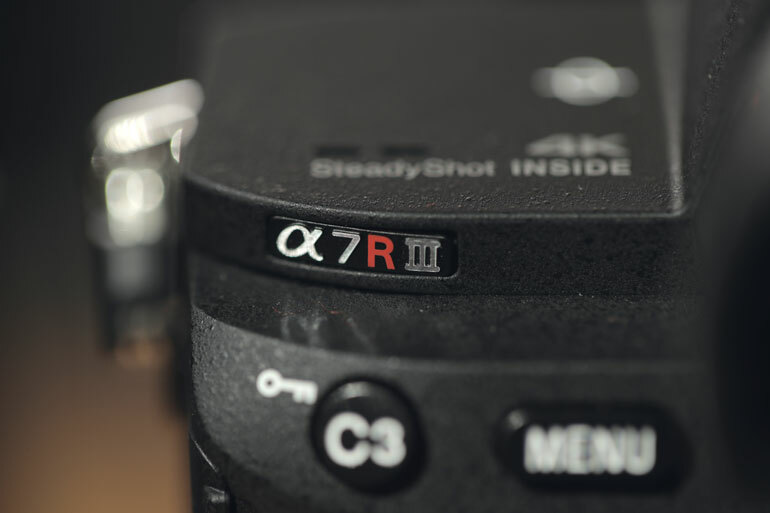 When it comes to the Sony A7R’s IBIS 5-way Sensor-shift, the jury is still out for us. In the limited time we had to test, it seemed to work fine, with any real complaints being more focused on the laggy and sometimes hunting autofocus. In a purely handheld shooting style, IBIS worked great - even when paired with the non-optically stabilized Zeiss Batis 18mm. It seems like each time we review a new Sony mirrorless camera, there is less and less to talk about. The initial hype has worn off, and each subsequent model has notable improvements, but without a complete redesign or transformation from the previous models or other cameras in Sony's lineup. But isn't that a good thing? 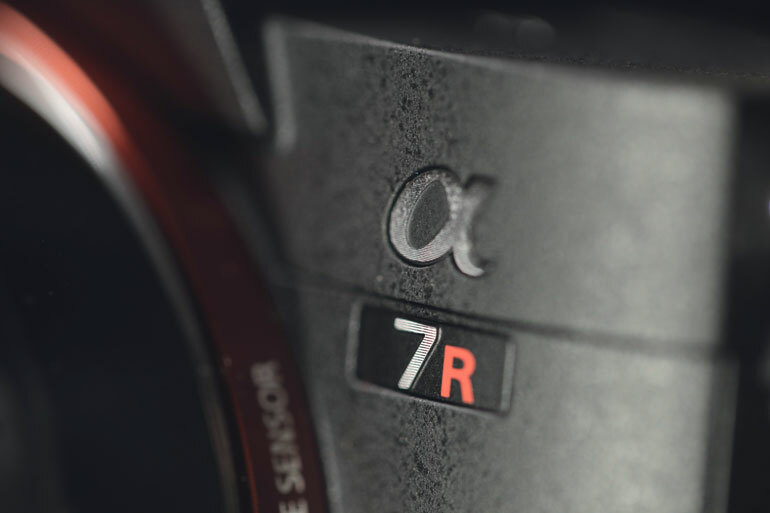 The Sony A7R and A7S brought shockwaves to the video world when they were first released. 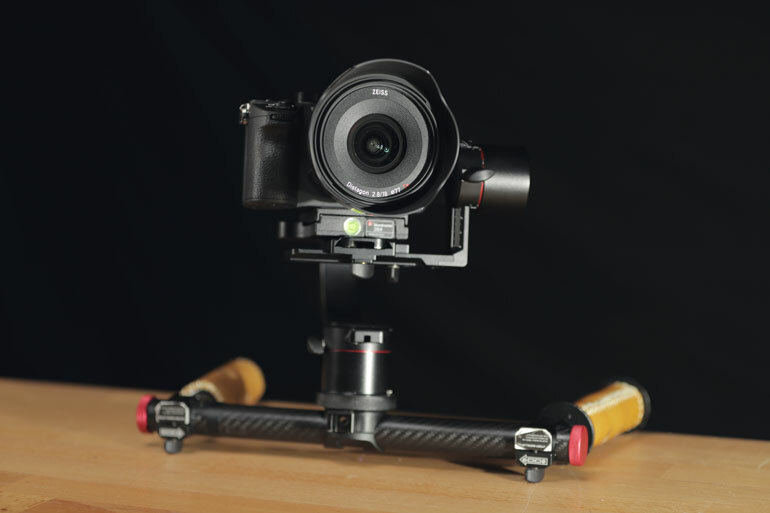 Now, they're getting more refined, and features such as proxy and dual slot recording are making the camera more dependable for all types of conservative videographers, not just early buyers who enjoy using cutting edge gear. 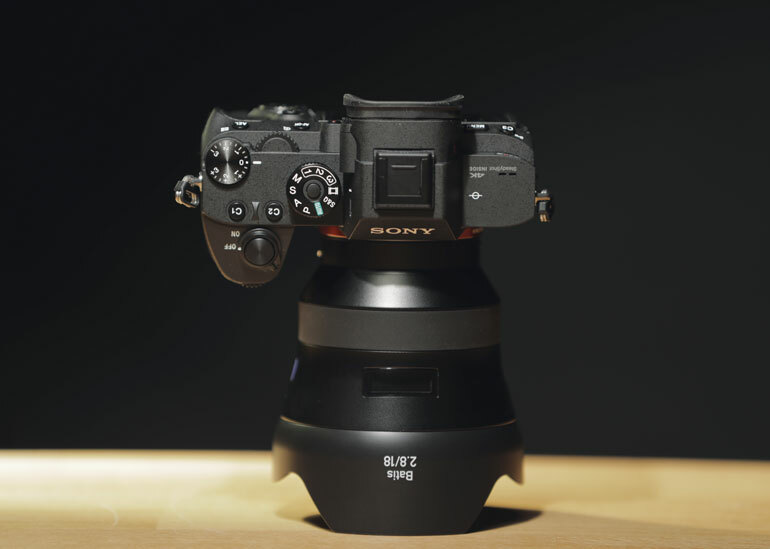 The main concern is that we've placed so much expectation on Sony wow-ing the world with specs and innovation, that perhaps we're a little disappointed when they give us something like the A7R III, which is fantastic but not earth shattering. Since the A7R III was announced, and the hype died down, camera gear enthusiasts have turned to other potential "game changers" like the Panasonic EVA1, or the Canon C200, or in the mirrorless world, the Panasonic GH5S. More recently, the Blackmagic Design Pocket Cinema Camera 4K stole the show at NAB 2018. So while the A7R III is only a few months old, we have already moved on to anticipating other exciting cameras, even from Sony's own chute. The A7 III is a basic full-frame camera that satisfies 95% of what the A7R/A7S/A9 lines do, but at a more affordable price point. Certainly that will be a very popular camera for one-man-band videographers and hobbyists. But for pro shooters and production houses, we have yet another magical unicorn to anticipate. 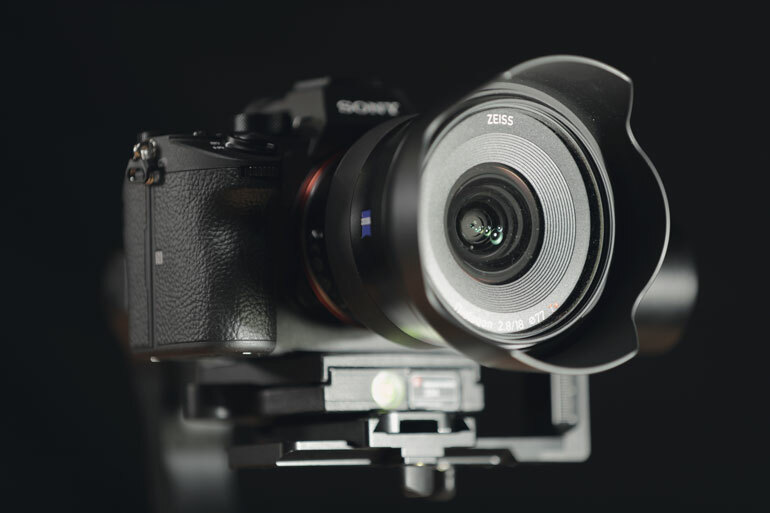 Sony's A7S III has the potential to become the camera of the year, possibly for several years to come. Will it feature everything that Sony has offered thus far, in one solid package? Or will it reveal an entirely new generation of features, as it hops over the end of the current lineup and to the beginning of a new status quo? Who knows what the A7S III will do. In the meantime, we're looking forward to seeing what talented video producers are creating with their A7R III.